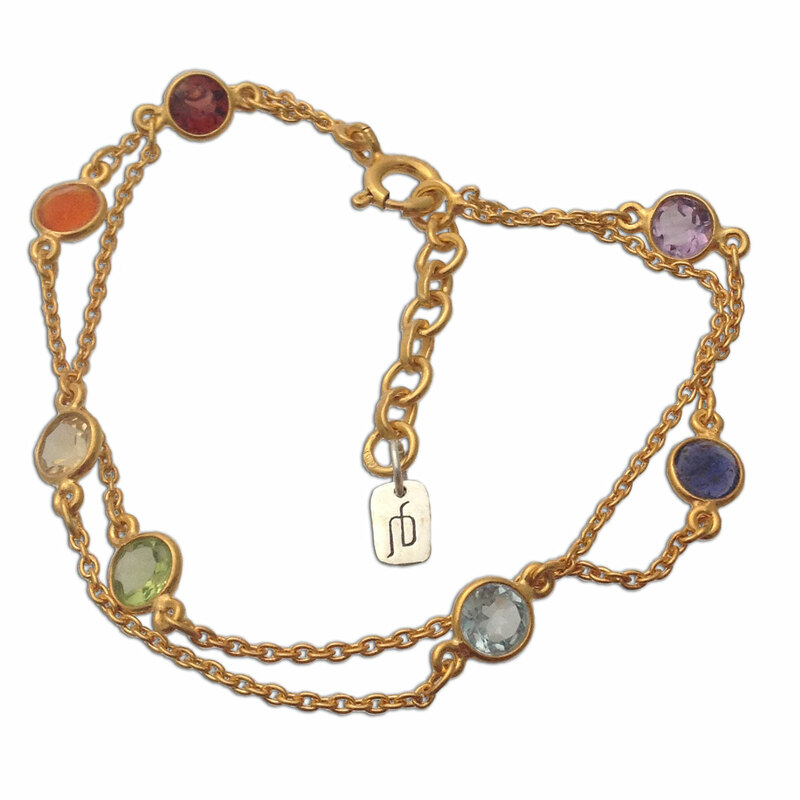 Seven Chakra gold-tone bracelet with the stones of the 7 chakras: garnet, carnelian, citrine, peridot, blue topaz, iolite and amethyst. 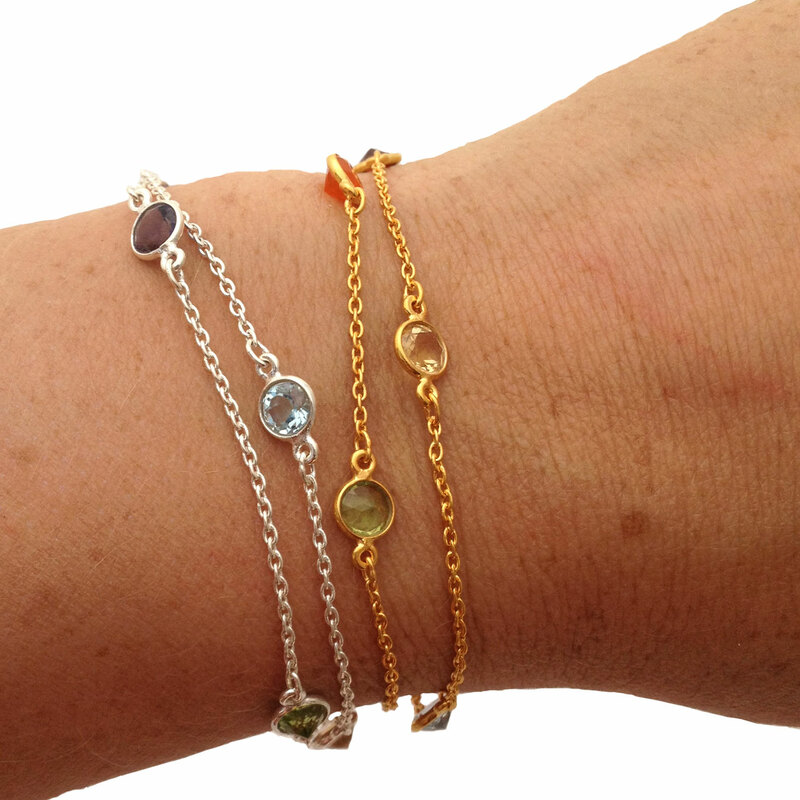 Adjustable from 6.75 - 8.25 inches.This is the gold-tone version that has a sterling silver base lightly plated with gold. The gold wash can rub off over time with exposure to moisture and sweat, leaving it silver in color. Each of the seven chakras has different properties and corresponds to a different mantra, color, stone and shape. Sterling silver . Made in India.